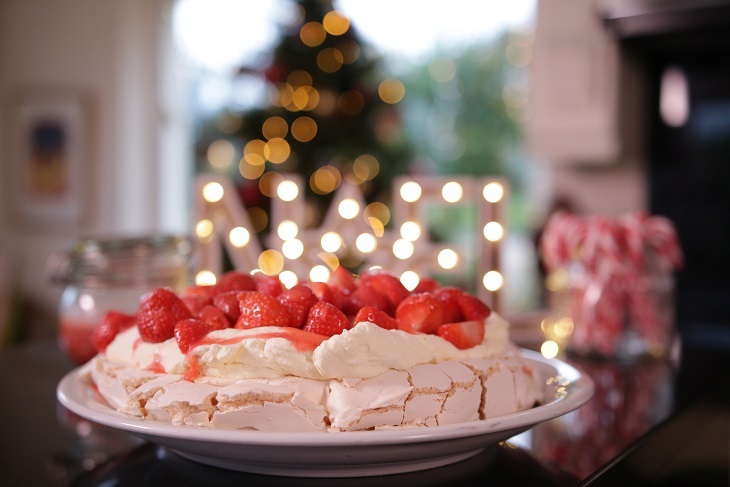 If you fancy bringing out your own eye-popping dessert, just to round off your culinary skills, why not cook up Noel’s light, ﬂuffy and sugary sweet pavlova? Heat the oven to 150C/130C/Gas 2. Whisk the egg whites until they form stiff peaks, then whisk in the sugar, 1 tbsp at a time, until the meringue looks glossy. Whisk in the vinegar, cornﬂour and vanilla. Blitz until a smooth fruit sauce. Whip the cream with the remaining icing sugar and spread it over the meringue. Put the remaining fresh strawberries on top of the cream and finally pour the sauce over the strawberries and serve.